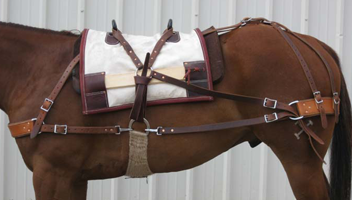 This page shows our line of packing and outfitting equipment currently being offered by Iddings Makers. 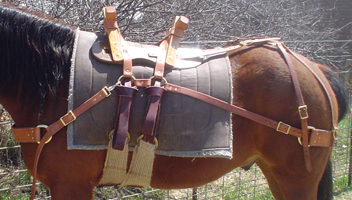 We offer both sawbuck and decker style pack saddles, chain hobbles, saddle hobbles, and bells built to outfitter standards at affordable prices. 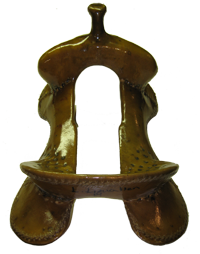 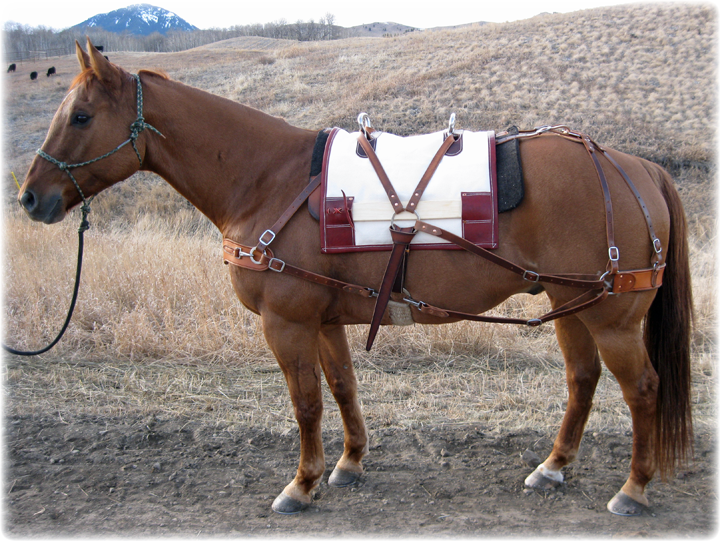 As with all parts of our custom saddle shop, we can modify any part of our standard saddles shown below. 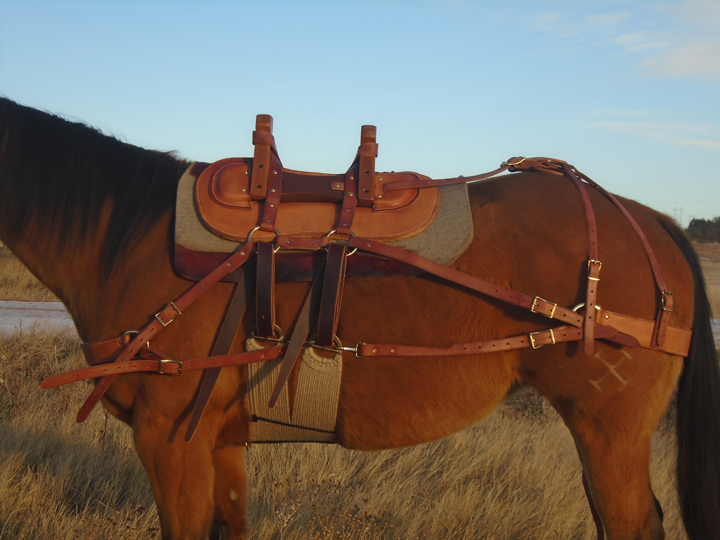 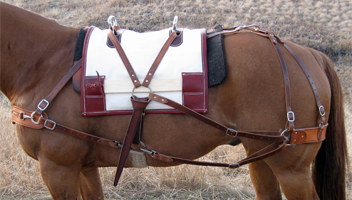 All parts of our pack saddles are made of top quality harness leather, latigo and chap leather for linings, and are available in your choice of stainless steel or solid brass hardward. 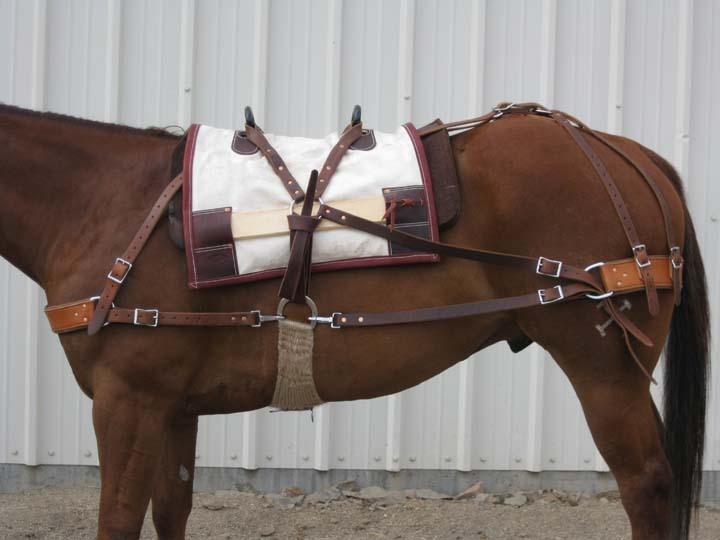 Saddles are shipped ready to use, no assembly required. 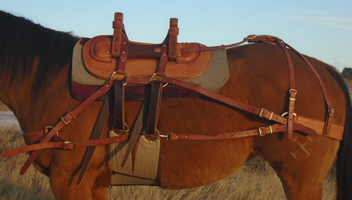 Prices listed below do not include shipping and tax.